The SimplyCash® Plus Business Credit Card from American Express is a great no annual fee cash back business card. You have the freedom to choose one of eight categories to earn 3% cash back on the first $50,000 spent and can benefit from a long list of perks. 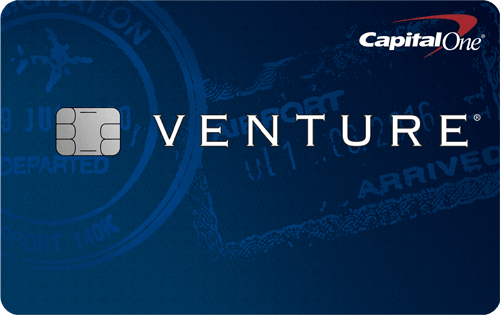 This card isn’t for businesses that travel abroad, as you’ll be charged a foreign transaction fee of 2.7% of each transaction after conversion to US dollars. There are other travel business cards that don’t charge a foreign transaction fee. Also, if you want to redeem rewards for something other than a statement credit, look to other business cards with more redemption options. (18) Over the Past 60 Days! This card offers great benefits beyond its cash back program. You can take advantage of perks ranging from expense management, to insurance to exclusive entertainment access. See ‘Additional card benefits’ below for more detail. There is also a simple redemption process for your cash back where it is automatically credited to your account — no action needed on your part. The SimplyCash® Plus Business Credit Card from American Express charges a foreign transaction fee of 2.7% of each transaction after conversion to US dollars. You can find travel business cards that are better suited for travel outside the U.S. and don’t have foreign transaction fees. Spend ManagerSM: Simply organize and manage purchases made with your card by adding receipts and comments via desktop or on your mobile device. Account Manager: Give access to an employee or partner so he or she can manage various business procedures, such as reviewing statements, making payments and disputing charges. OPEN Savings®: Receive discounts to select partners with OPEN Savings®, allowing your business to save money. Terms apply. OPEN Forum®: Check out articles, posts and tools for your business, curated from industry experts and other business owners. Connect to QuickBooks: Make managing finances easier by linking your account to QuickBooks. Baggage insurance plan: Don’t fret if you lost your luggage or if it was damaged or stolen while traveling— you may be covered if you purchased the entire fare with your card. Terms apply. Global Assist® Hotline: Access 24/7 legal, medical, financial or other emergency services when you travel over 100 miles from home. You’re responsible for the costs charged by third-party service providers. Terms apply. Premium roadside assistance: Stuck on the side of the road? Call American Express and it’ll pay for select emergency services like fixing flats, dealing with dead batteries or towing up to 10 miles — up to four times a year. Terms apply. Travel accident insurance: Accidents happen on trips, but American Express provides some reprieve (up to $100,000 worth) in accidental death and dismemberment coverage when the entire fare has been charged to your card. Terms apply. Car rental loss and damage insurance: You may be covered for a lost or stolen rental when you use your card to pay for eligible vehicle rentals and decline the collision damage waiver. Terms apply. Exclusive entertainment access: American Express offers in-demand access and presales for a variety of entertainment events: Broadway shows, concert tours, family and sporting events and more. Offer valid in select cities. Terms apply. 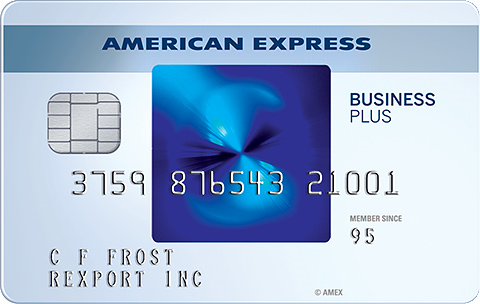 The SimplyCash® Plus Business Credit Card from American Express is best used for all business purchases. Be sure to choose the 3% cash back category of your choice that will benefit your business the most. You can take out employee cards as needed and will also earn points on those purchases. Remember, you’re liable for all charges made to the account, and that includes employee spending. A great feature is the spending limits you can set for employee cards to regulate their purchases. To earn extra cash back, check out the Special Offer and n/a. 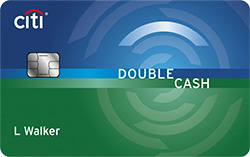 The SimplyCash® Plus Business Credit Card from American Express earns 5% cash back on wireless telephone services purchased directly from U.S. service providers and U.S. office supply stores, 3% cash back on the category of your choice from a list of eight, 1% cash back on other purchases. 5% and 3% apply to the first $50,000 in purchases per calendar year, then 1% applies thereafter. Choose from one of eight categories to earn 3% cash back: airfare purchased directly from airlines, hotel rooms purchased directly from hotels, car rentals purchased from select car rental companies, U.S. gas stations, U.S. restaurants, U.S. purchases for advertising on select media, U.S. purchases for shipping, and U.S. computer hardware, software, and cloud computing purchases made directly from select providers. Cash back will automatically be credited to your account as a statement credit. The credit will automatically appear on the second billing statement you receive after the one with the eligible purchases. You will not receive a statement credit for eligible purchases made if you do not pay the minimum payment due by the closing date of the billing period in which it is due, or if your account is canceled before the credit is issued. The SimplyCash® Plus Business Credit Card from American Express and The Blue Business℠ Plus Credit Card from American Express are both business cards provided by American Express, however they offer different rewards and intro periods. The Blue Business℠ Plus Credit Card from American Express is better for businesses that want to earn points at a flat-rate. While the SimplyCash® Plus Business Credit Card from American Express earns cash back and is a good choice for businesses looking to maximize cash back on business spending. If you’re looking to take advantage of a 0% intro APR period The Blue Business℠ Plus Credit Card from American Express offers a longer intro period than the SimplyCash® Plus Business Credit Card from American Express . Here’s a breakdown of the key elements of each card. Rewards 5% cash back on wireless telephone services purchased directly from U.S. service providers and U.S. office supply stores, 3% cash back on the category of your choice from a list of eight, 1% cash back on other purchases. 5% and 3% apply to the first $50,000 in purchases per calendar year, then 1% applies thereafter. 2X Membership Rewards® points on everyday business purchases such as office supplies or client dinners. 2X applies to the first $50,000 in purchases per year, 1 point per dollar thereafter. The SimplyCash® Plus Business Credit Card from American Express is a great card for businesses that want to earn cash back on business purchases with an automatic redemption feature. The additional perks provided are a bonus to this no annual fee card. Credit One Credit Cards: Are They Worth the Confusion?